Admins can configure these visibility rules in the Admin console under Apps > G Suite > Settings for Directory. For more information on configuring Directory settings, check out this Help Center article. The G Suite Directory surfaces profile information to users in your organization, allowing them to easily find and learn about one another while they work in G Suite apps. For instance, autocomplete in Gmail makes it easy for users to find their coworkers’ email addresses and quickly send them a message. Previously, we allowed one directory per domain, which meant G Suite admins could only enable or disable contact visibility for their entire domain and couldn’t specify who saw what information. 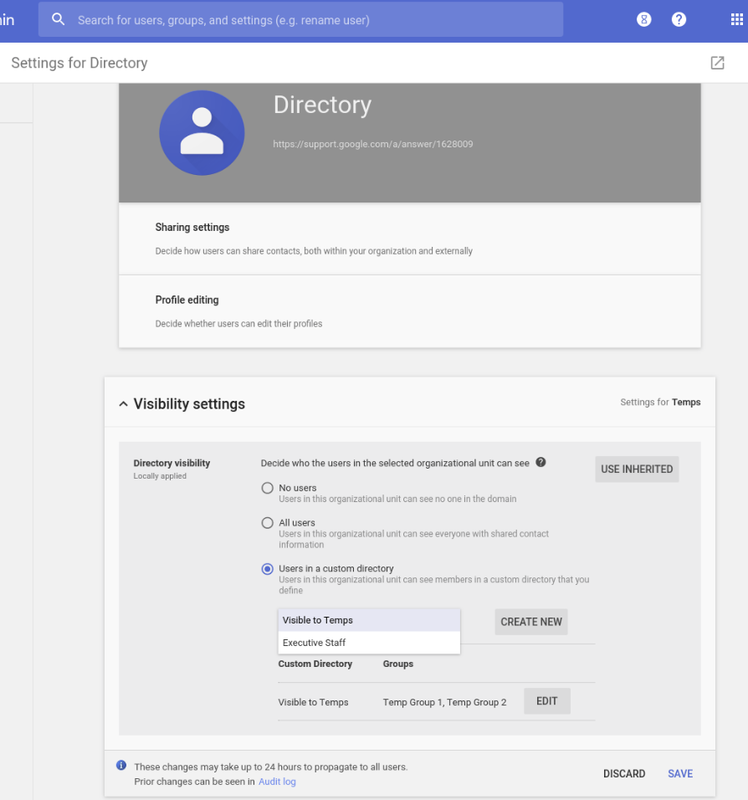 We’re now making it possible for G Suite admins to cluster users in separate directories with custom visibility rules for each organizational unit (OU). 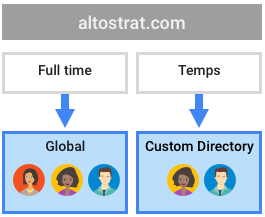 For example, a company might give full-time employees access to a global directory, because they want them to be able to find other full-time employees and temps. At the same time, they might not want temps to be able to find full-time employees, so they’ll limit them to a custom directory with restrictions applied.